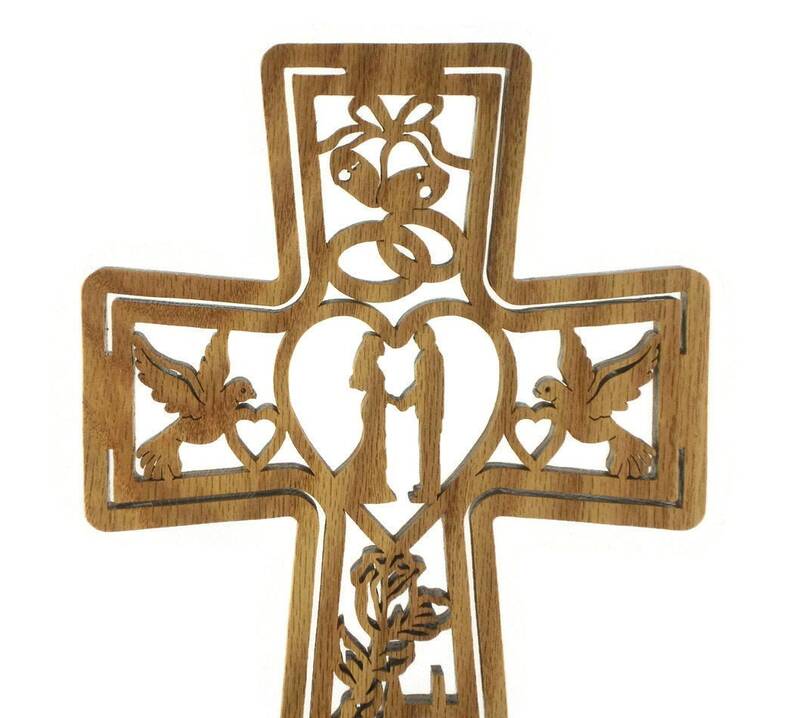 What a wonderful wedding gift to give with this unique wedding cross. Nestled inside the cross is bells, rings, doves,hearts, bride, groom, flowers, cross, and a church. This is sure to be the best gift you could give to those select people that already have most everything they might need..It is unique and very doubtful that any other guest would get the same gift. 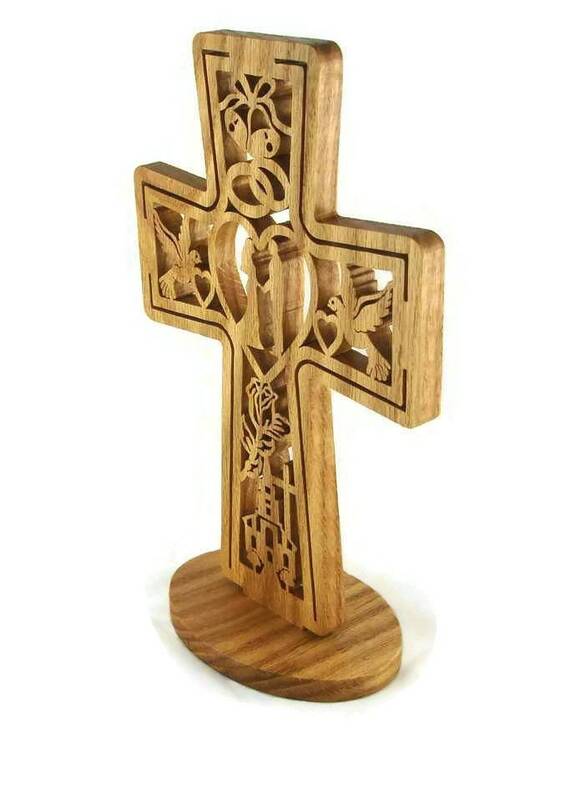 This wedding cross is made out of hand selected oak lumber. 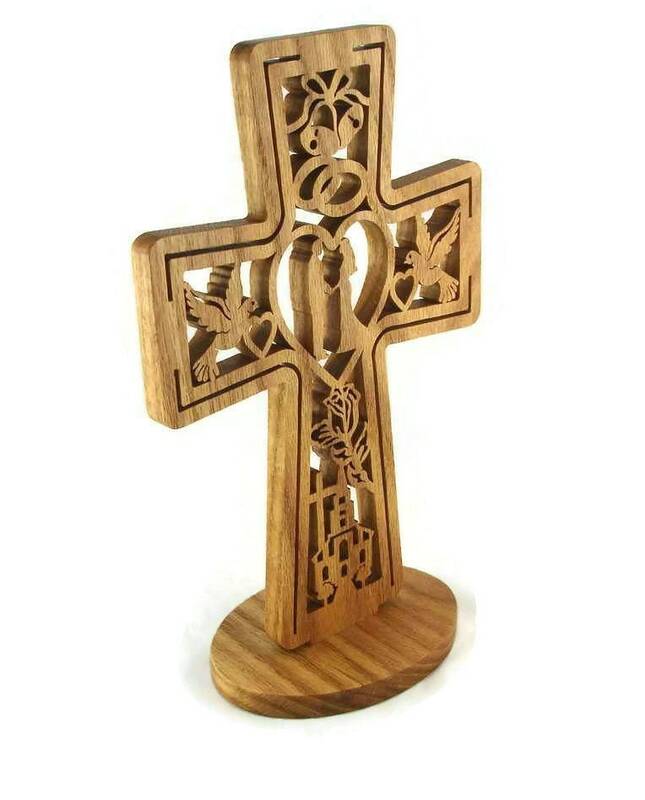 The oak lumber used for this wedding cross was 1/2 thick. 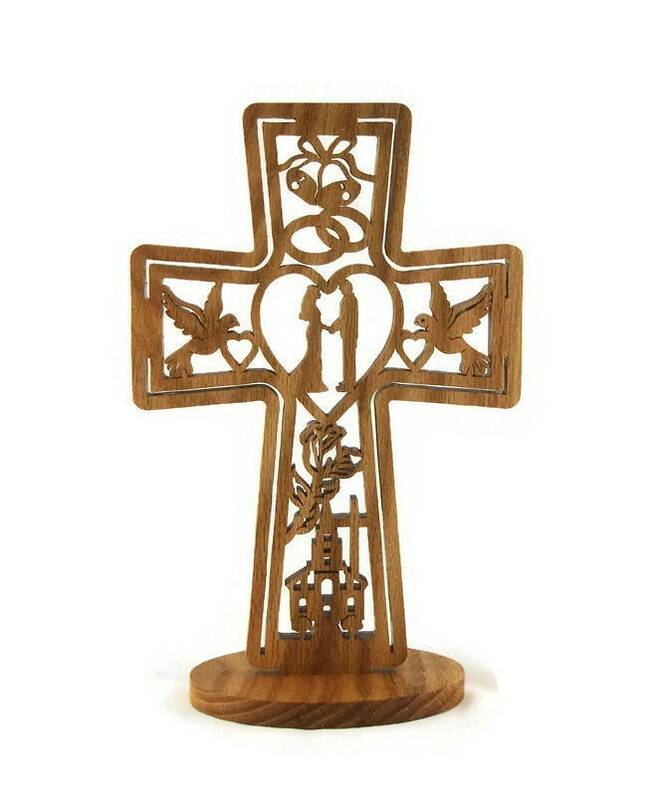 The cross stands on a 5-3/4 wide oval base for stability. 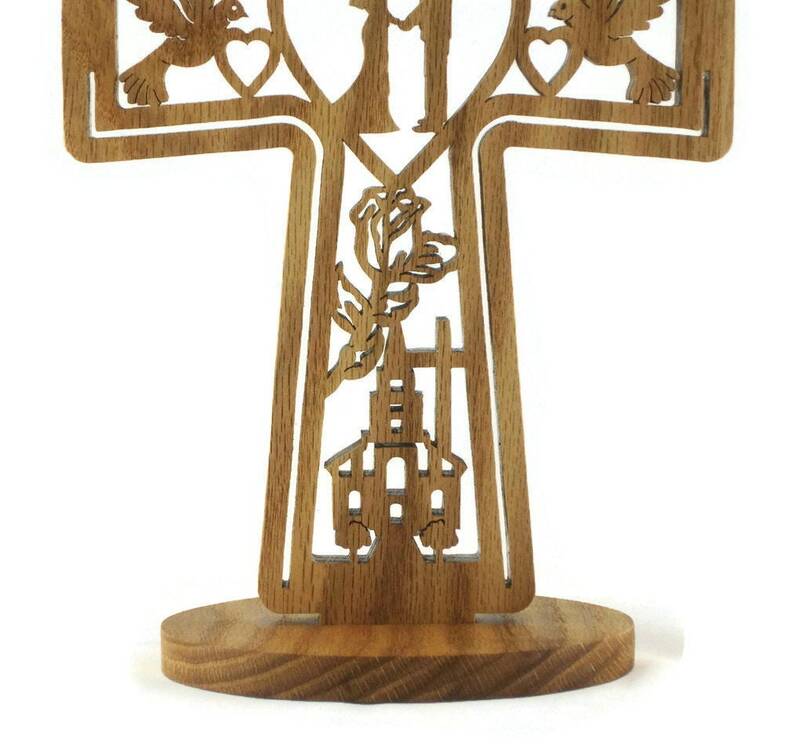 Cross stands approximately 12 tall and 7 wide. A non-toxic all natural bees wax and mineral oil finish was applied to bring out the natural colors of the wood grain as well as to protect the wood for many years of enjoyment.